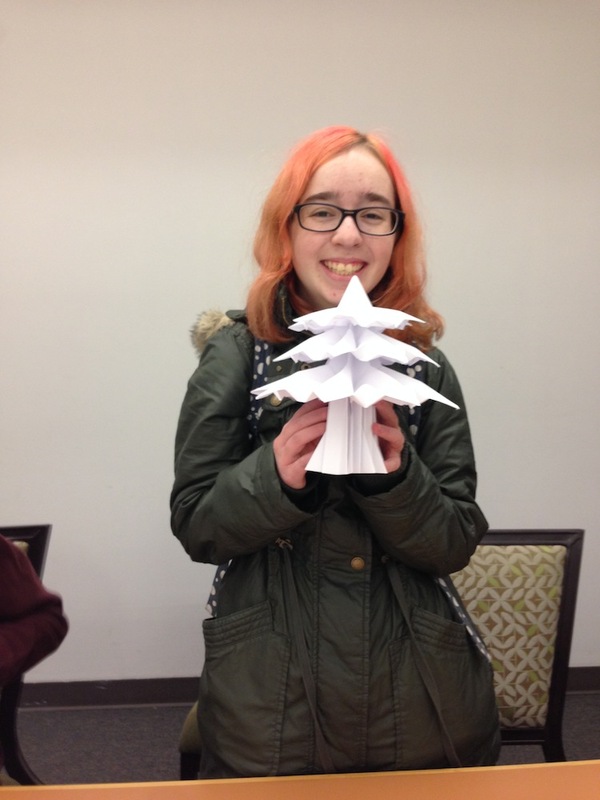 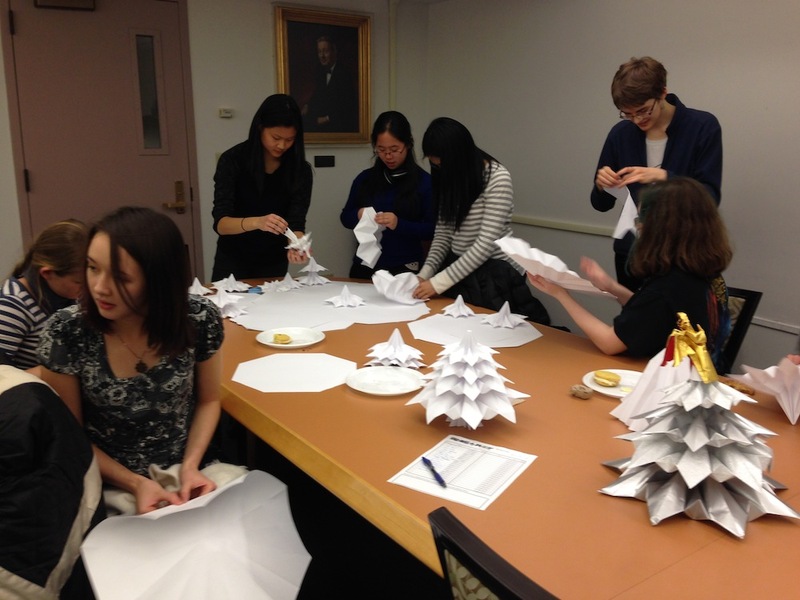 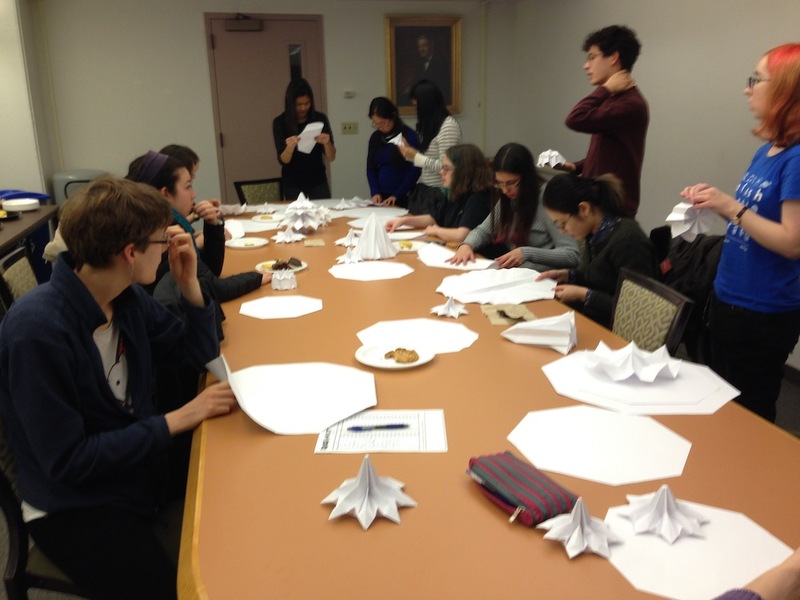 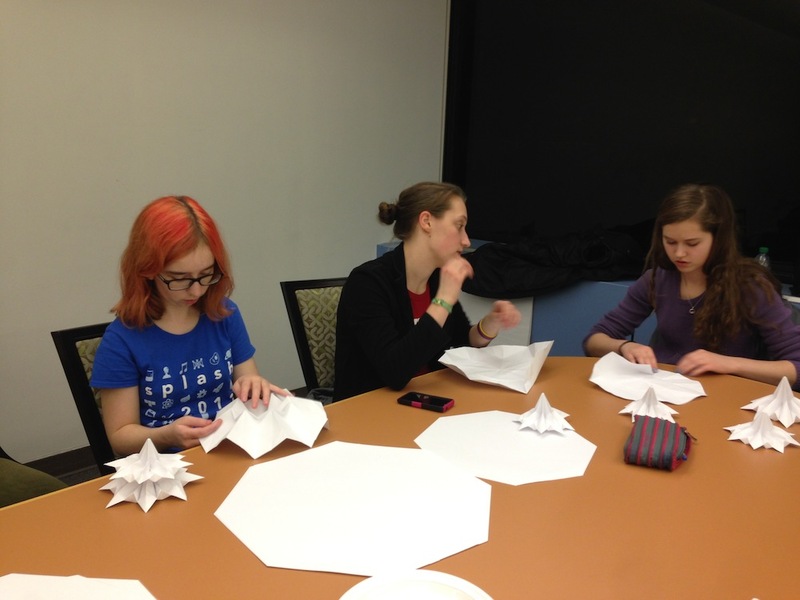 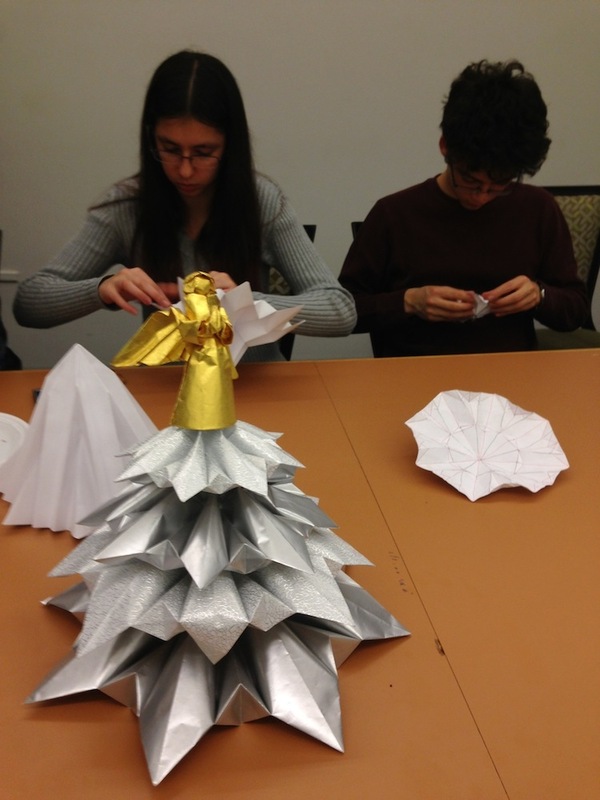 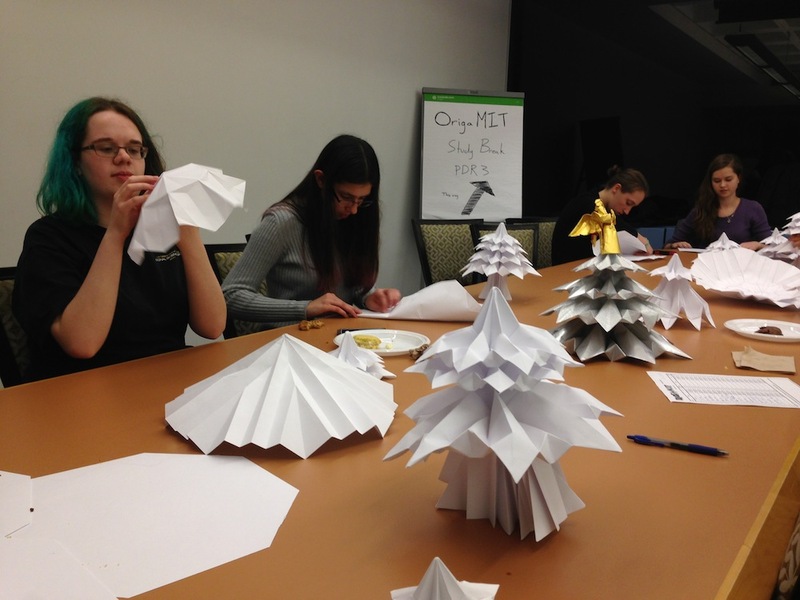 At our study break, MIT students folded a modular tree and enjoyed delicious cookies from Flour Bakery. 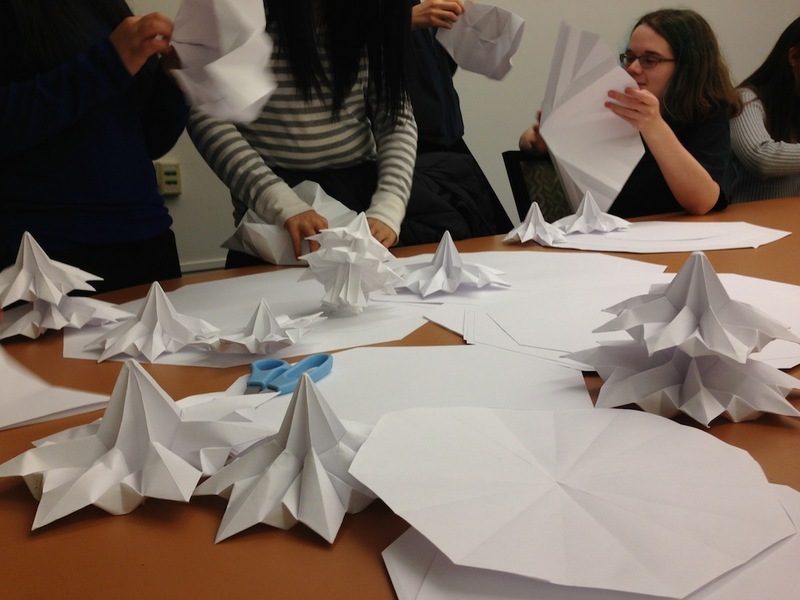 The OrigaMIT logo is a stylicization of Typeset, an origami font designed by Jason Ku '09. 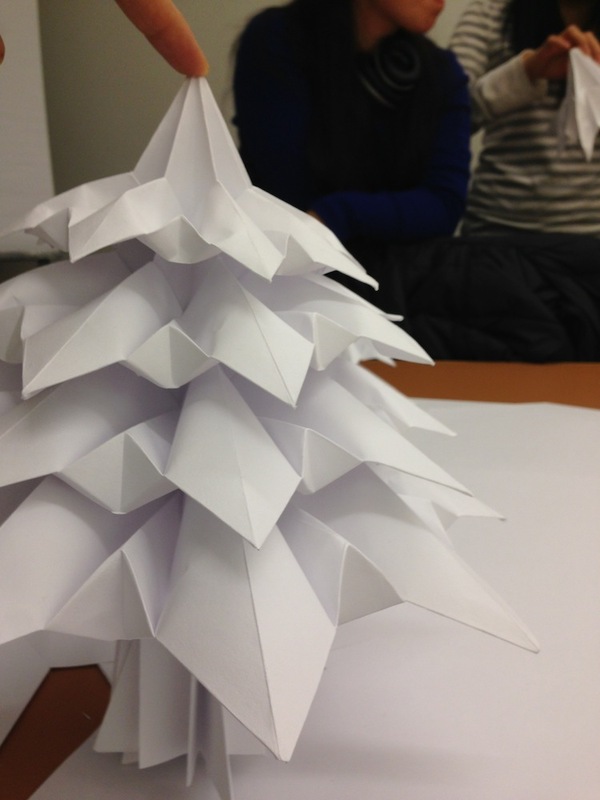 Top photo depicts Tim the Beaver V2 by Michelle Fung '13. 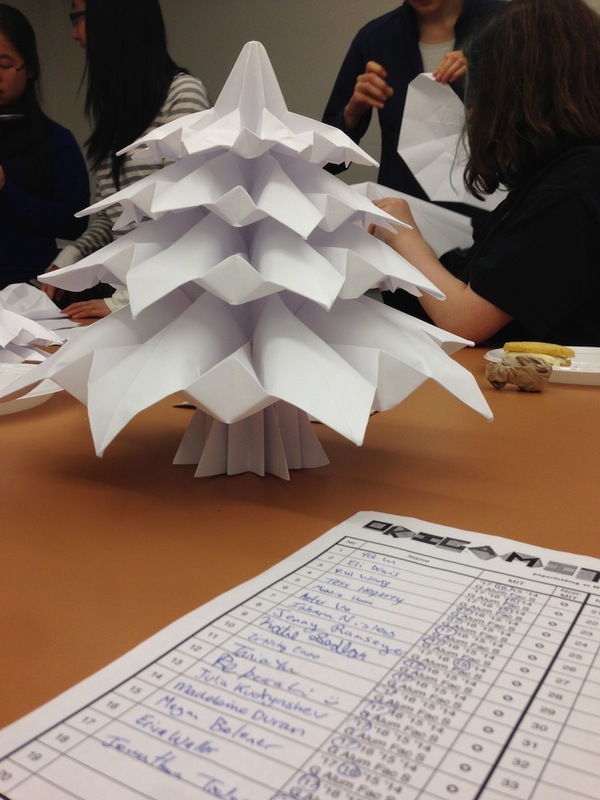 Bottom photo depicts Mens et Manus II, copyright 2007 Brian Chan '02.